Every decor you choose follows a certain theme. 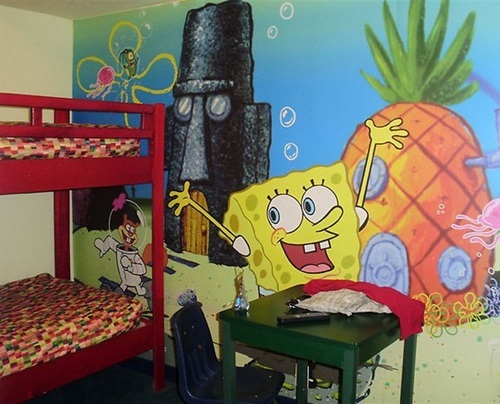 Kids like their rooms to be remodeled after famous cartoon themes. 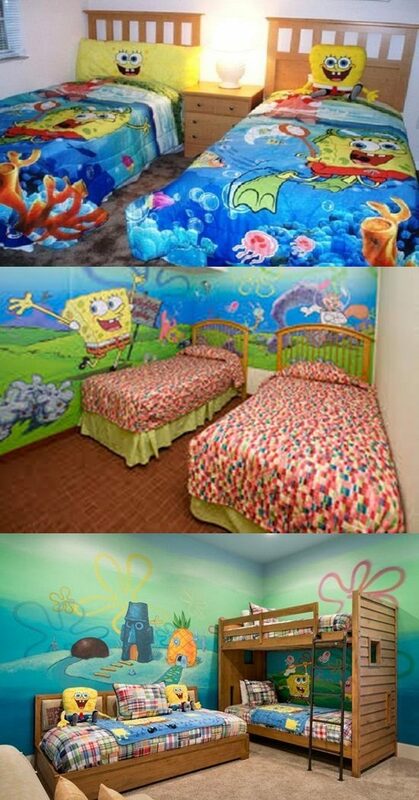 And who is better than the famous square sponge, Sponge Bob, to choose for a kids’ bedroom theme? 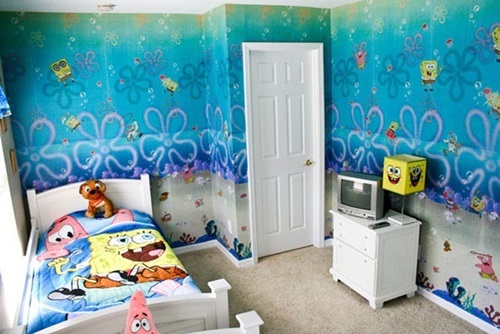 Let us learn how to remodel a kids’ bedroom using Sponge Bob theme. 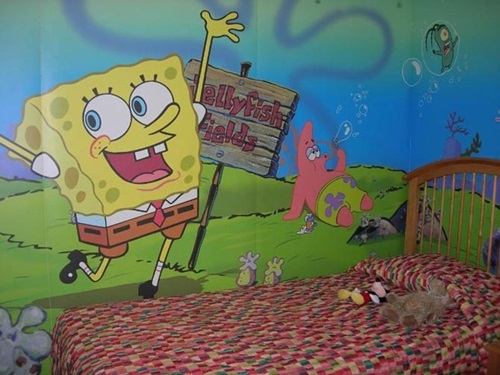 1- First, we have to deal with the walls. 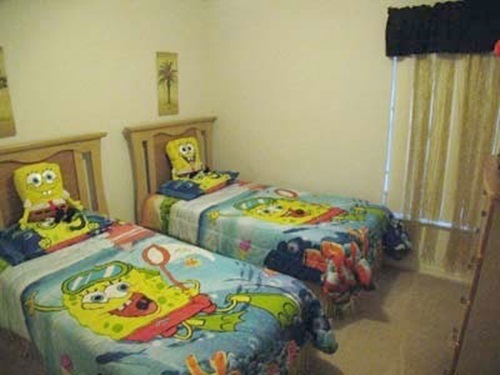 In my opinion, the best color to use either as main color or an accent color is yellow. 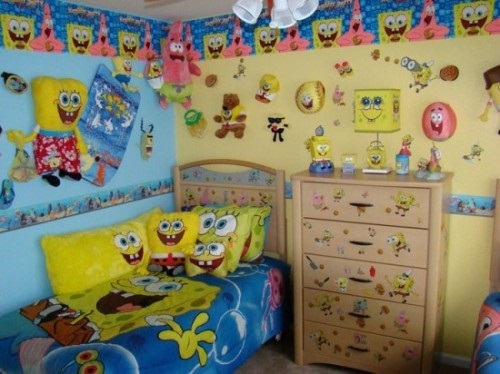 However, you could also use soft yellow and blue to make that Bikini Bottom look. 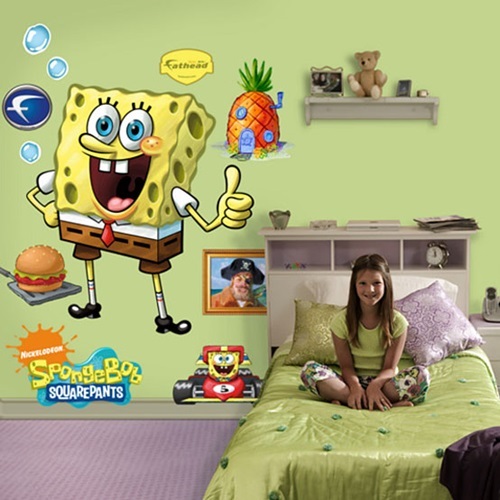 Then you could use stencils cut after Sponge Bob characters or even Sponge Bob stickers and stick them on the walls. 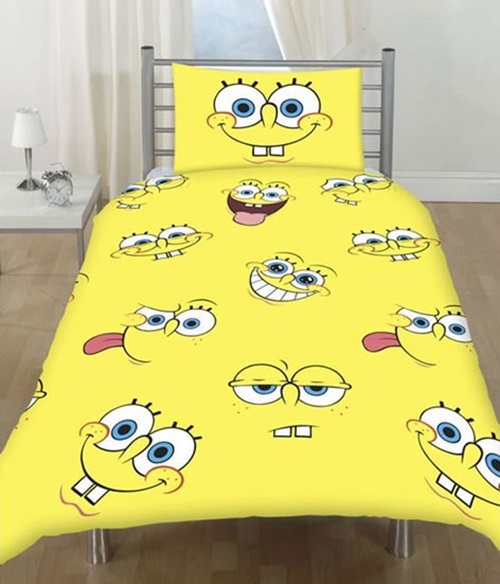 2- Now we have to deal with the bedding and the covers. 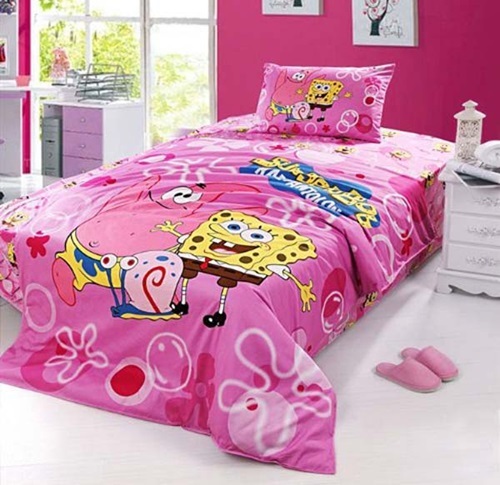 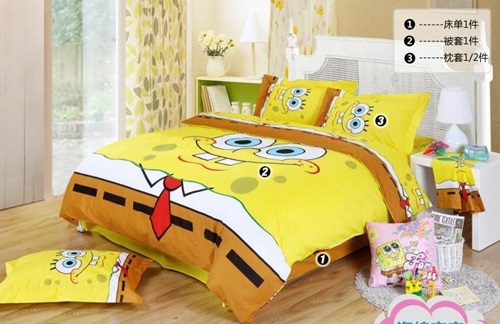 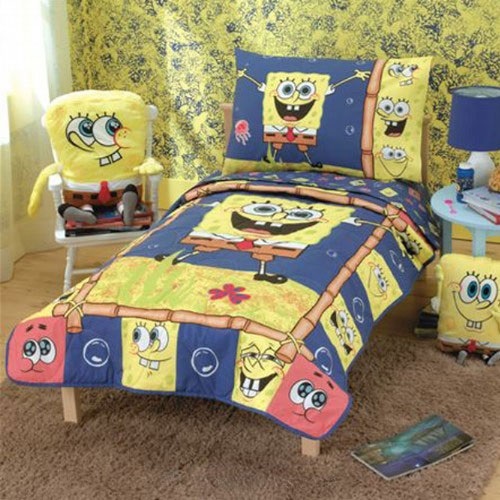 Get few bedding sets with Sponge Bob characters, they are available at all home goods stores like Bed, Bath & Beyond. 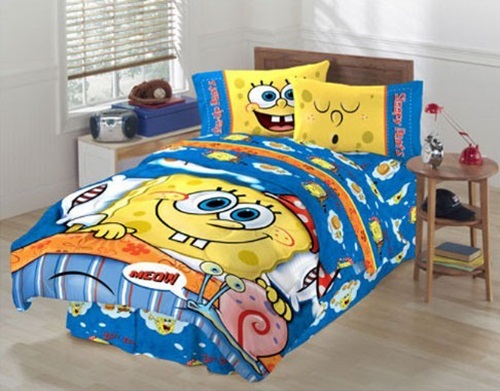 Make sure you have covers suitable for all seasons, like light comforters for summer and blankets for winter. 3- Make sure you also paint the wardrobe and the dresser. 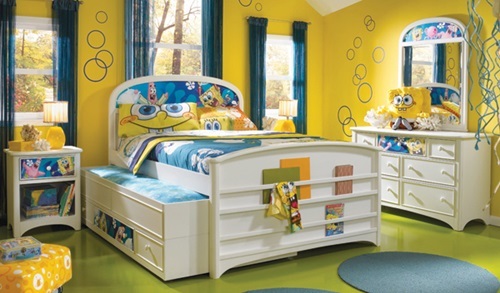 Yellow is also a good choice here, and the starfish and snail shapes are actually easy to paint, but you could use stickers here as well. 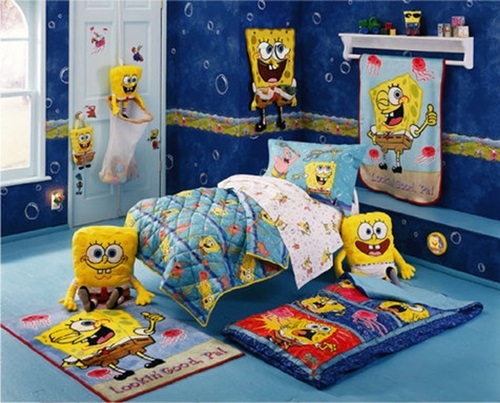 4- Many episodes of Sponge Bob have scenes from his house that you can use as resources for ideas. 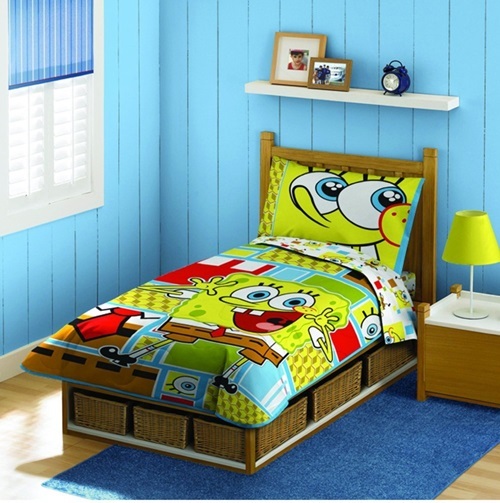 For example, you have that simple and cute yellow-blue rug, Sponge bob alarm clock and even yellow slipcovers with a Sponge Bob face for a chair. 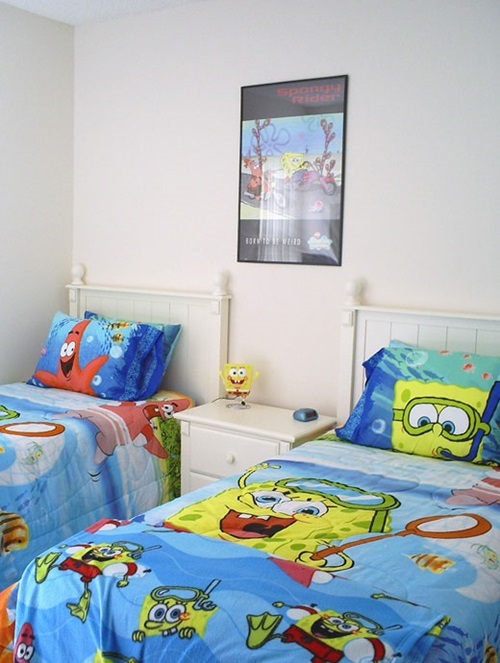 5- Use Sponge Bob themed accessories to make your kids’ room more fun. 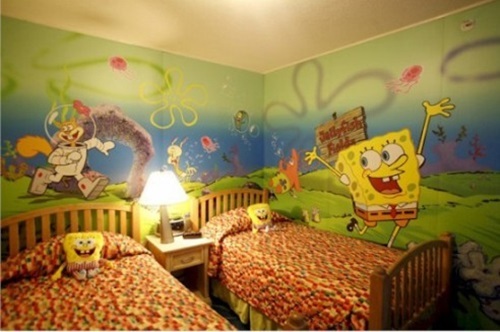 A yellow curtain with Sponge Bob characters is easy to make. 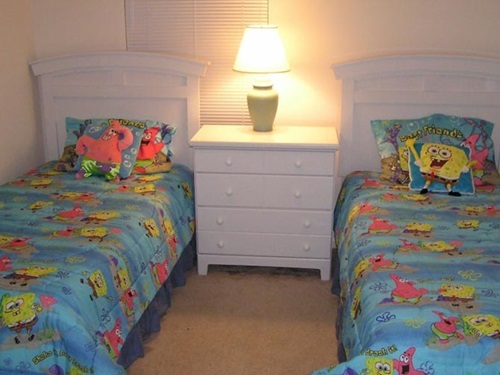 Lighting that gives yellow light will also accentuate the Bikini Bottom Effect. 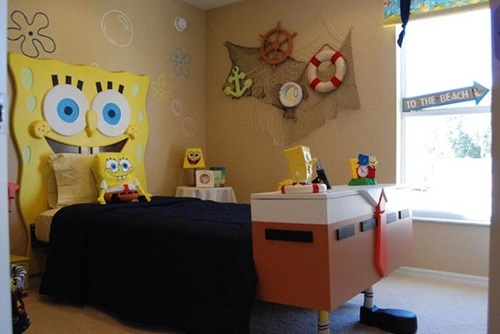 A yellow basket with Sponge Bob face on top is also perfect for storing your kids’ toys.